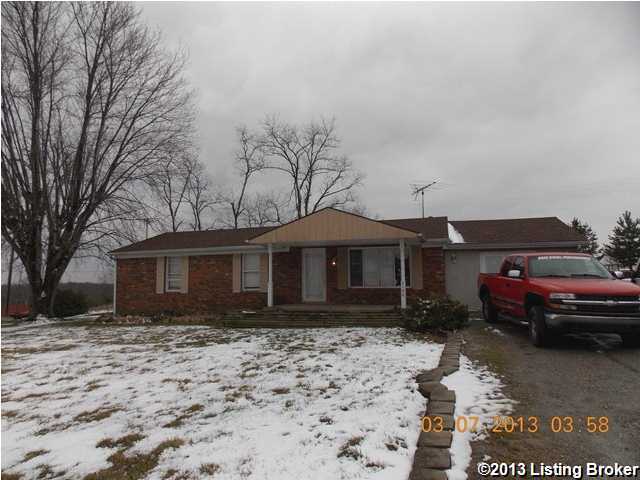 Nice 3 bedroom brick ranch with 2 car detached garage. Good location that is convenient to Bedford, Milton or Madison, IN. Home is currently being rented and is being sold ''AS-IS''. Stove, refrigerator and dishwasher to remain with the property. Wood stove does not remain. Call for your showing today! 2100 Mt Carmel Rd, Milton KY 40045 is a Home, with 3 bedrooms which is recently sold, it has 1,511 sqft, 0 sized lot, and 2 Car Garage,Detached parking. A comparable Home, has 2 bedrooms and 1.5 baths, it was built in and is located at 1966 Coopers Bottom Rd Milton KY 40045 and for sale by its owner at $ 189,000. This home is located in the city of Milton , in zip code 40045, this Trimble County Home, it is in the NONE Subdivision, and RIVERVIEW are nearby neighborhoods.